Jesus was the most joyful person who ever lived. For some reason, though, many people—including a troubling number of Christians—continue to imagine Jesus as some sort of strict rule-lover, a fun-smashing killjoy who preferred to crash parties instead of throw them. Sure, Jesus shared some tough words from time to time, but his main message was that a heavenly party was heading straight for Earth, and the whole world was invited. In a way, a party is why all things came to be, for everything around us is an act of pure desire and delight (Rev. 4:11; Zeph. 3:17). Like a river in flood season, the Trinity was so saturated with truth and beauty and goodness that their delight in each other spilled over the banks, creating life where there was no life in order that other people might come to share in God’s joy. “One afternoon, before anything was made, God the Father, God the Son, and God the Holy Spirit sat around in the unity of their Godhead discussing one of the Father’s fixations. From all eternity, it seems he had this thing about being. He would keep thinking up all kinds of unnecessary things—new ways of being and new kinds of beings to be. And as they talked, God the Son suddenly said, “Really, this is absolutely great stuff. Why don’t I go out and mix us up a batch?” And God the Holy Spirit said, “Terrific, I’ll help you.” So they all pitched in, and after supper that night, the Son and the Holy Spirit put on this tremendous show of being for the Father. It was full of water and light and frogs; pine cones kept dropping all over the place and crazy fish swam around in the wine glasses. There were mushrooms and grapes, horseradishes and tigers—and men and women everywhere to taste them, to juggle them, to join them and to love them. And God the Father looked at the whole wild party and he said, “Wonderful! Just what I had in mind! Tov! Tov! Tov!” And all God the Son and God the Holy Spirit could think of to say was the same thing. “Tov! Tov! Tov!” So they shouted together “Tov meod!’ [Very good!] and they laughed for ages and ages, saying things like how great it was for beings to be, and how clever of the Father to think of the idea, and how kind of the Son to go to all that trouble putting it together, and how considerate of the Spirit to spend so much time directing and choreographing. And forever and ever they told old jokes, and the Father and the Son drank their wine in unitate Spiritus Sancti [in unity with the Holy Spirit], and they all threw ripe olives and pickled mushrooms at each other per omnia saecula saeculorum, Amen.” (Robert Capon, The Romance of the Word: One Man’s Love Affair with Theology, pp. 176-177). Of course, everyone knows the Trinity is not like three old men throwing olives at each other. Sadly, not everyone is equally clear that God created the world as an act of supreme delight. Like a book too good not to pass on, or a restaurant too delicious not to share with your friends, or a scenic view too beautiful not to capture with pictures, the love and joy of the Trinity were too wonderful, too glorious, not to share. So God graciously made room in the universe for other kinds of beings. Out of his limitless and self-sustaining resources, God created all things to know him and share in his joy. You might say that creation was God’s divine invitation for others to join the party of the ages. Against the backdrop of God’s party, the story of humanity could be summed up as our stubborn refusal to celebrate the goodness of God. Thinking that our ways will end better for us than his, we ignore God’s commands that lead to life and joy, choosing instead to go the way of death and despair. That was the context for Jesus’ arrival. He came to re-invite all those who had uninvited themselves. That’s why his main message was this: “The kingdom of God is at hand!”, which meant, “God reigns!”, which further meant that God’s party could not be stopped. Through Jesus’ life, death, and resurrection, God would see to it that everything wrong would be set right. Where there had been rebellion, there would be only obedience. Where there had been mourning, there would be only rejoicing. Instead of sickness, health; instead of poverty, plenty; instead of death, abundant life. And so the world ends just as it began, with a never-ending party in God’s honor. There will be rich foods, well-aged wines, all the best that the world has to offer. We will eat, drink, sing, and dance in celebration of the glory of God. And right there in the midst of his people will be Jesus, the Lord of the Feast, the Master of the Ceremony, the Passover Lamb himself. 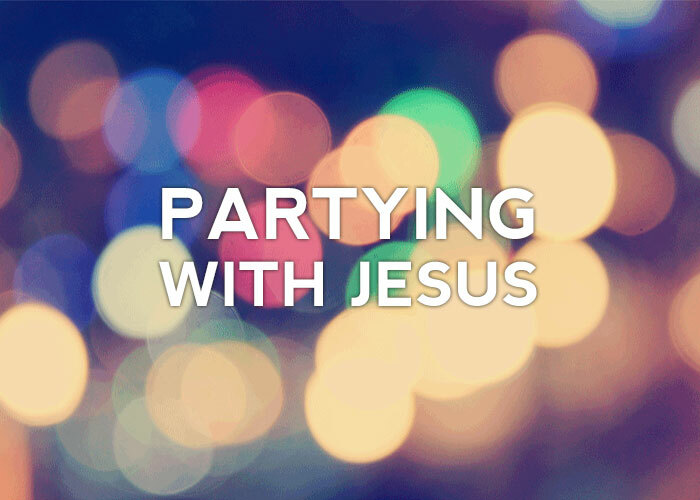 We will party with Jesus, and the party will never end. Yet God also tells us about those outside the party, the ones who refused to join him. Jesus himself warned us about this in the parable of the banquet (cf. Luke 14:16-24). He said when the time for the party comes, God will say to the world, “Come, for everything is now ready.” But many will refuse his invitation. The naysayers, the excuse makers, the rival party-throwers, and all those who feel that they have no need for the grace of Jesus will miss out on his party. And that’s putting it quite mildly. Instead of the party where life is found, they will find even more of death than they ever thought possible. The party with Jesus starts not at his return, but at the moment we realize what he has accomplished on our behalf. Until very recently, almost all Christians understood that salvation and celebration go hand in hand. In the years immediately following Jesus’ resurrection, the early church often ended every service with a feast. 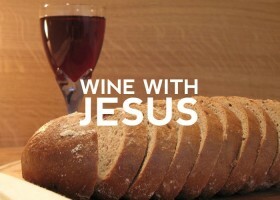 In the Middle Ages the Christian calendar was chock full of days set aside for remembering the works of God by celebrating them with food and wine and song. The Puritans, too, were in on the action. Though they are often pictured in American textbooks as dour and depressed, they were actually an exuberant people who “loved the arts, wore brightly colored clothing, smoked and drank, and loved making love to their wives” (Doug Wilson, Five Cities Who Ruled the World, 138). Why all of this celebrating? Because everything we could possibly fear has found an answer in Jesus. He has defeated sin and death, and he will come again to destroy them both as surely as he has risen from the grave. The better question is, what’s not to celebrate? Jesus wins! Practically speaking, this means Christians should be the most joyful people on the planet. Instead of an endless craving for more stuff, there should be deep contentment for what we have, since every good thing is a gift from God (Jas. 1:17). Moreover, instead of grumbling and complaining there should be unending gratitude for the grace we have been shown in Christ. Instead of busyness without end there should be hard work and hard rest. Instead of pessimism and fear there should be optimism and hope, for Jesus will not fail us. 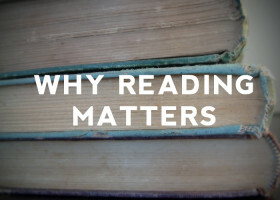 Above all, Christians should be people who know how to celebrate—people who celebrate the blessing of children by having a family full of them; people who celebrate the grace of God’s provision by eating bacon and bratwursts and sugar snap peas to the glory of God; people who make art and sing songs and write books; people who have Bibles with worn edges and wine-stained pages; people who know that Jesus has invited us to an eternal party, where the celebration of God’s glory will never end. Do you celebrate the grace and goodness of God toward you in every area of life? Start today by thanking him for every undeserved gift in your life (that’s all of them). Share these gifts with those God has placed around you. “And whatever you do, whether in word or deed, do it all in the name of the Lord Jesus, giving thanks to God the Father through him” (Col. 3:17).